Hello my lovelies!! How are you doing today? Hello my dears! How are you doing? How have you enjoyed your weekend? We've been busy thinking, planning, searching for improvements for our home, specially our balcony where we could spend really nice evenings this summer. If we ever come up to an agreement with my hubby and our balcony gets re-looked I might post one or two pics, would you like to see it? As I've promised you (after having worn the shade Dior 794 for 9 days! you hear 9 DAYS is a record!!) 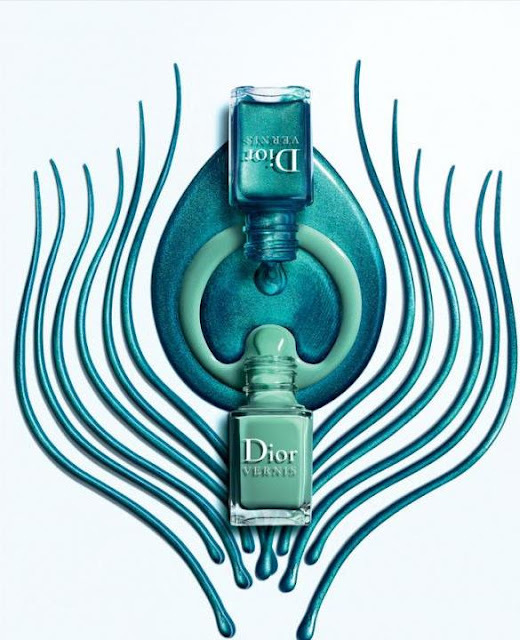 I'm showing you today the other nail polish of the Dior Samba duo, #402. This is a gorgeous shade of green, which is quite similar to Essie Turquoise & caicos, but not a dupe. This was easy to apply and almost one coater. I prefer to do two thin coats, but if you're running late one regular coat has enough coverage. 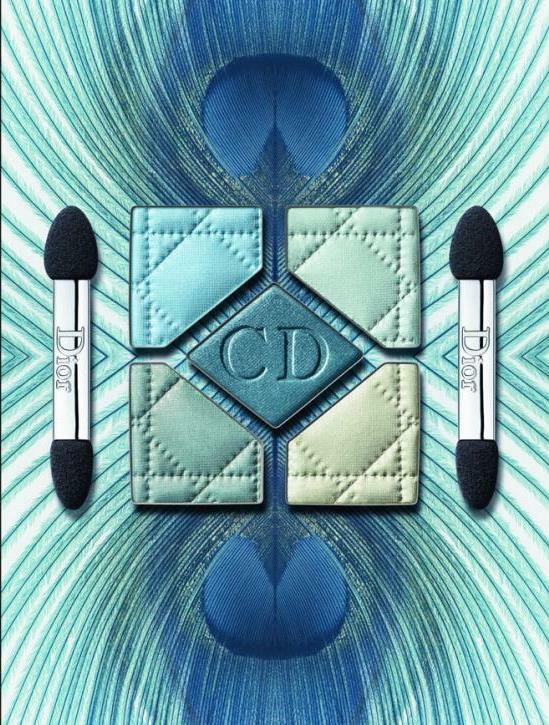 The brush is very nice, the regular new Dior brush, and the consistency is very good, not thick nor runny, just perfect. It's very glossy on its own, but I'm using one coat of seche vite because I needed to run to pick up my baby and had no time to wait for the polish to dry. I absolutely love this shade as I love Turquoise & caicos, but I'm afraid it doesn't look as good on me as it does in the bottle. Somehow this shade brings out my green veins, making them more evident, and that's not flattering! Anyway, that does not stop me from wearing it! Do you like this kind of green-turquoise shades Which one of the two Dior polishes is your fave? 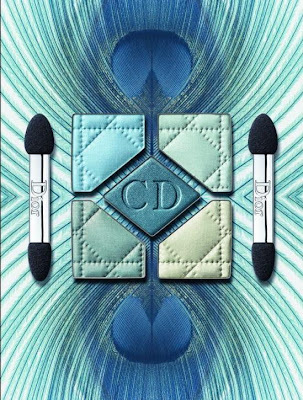 Continuing with my Spring favourites I want to share with you a recently released (this was LE) Chanel Stylo yeux waterproof. Well, recently means it's part of the Spring collection 2013. This is a very controversial product (if I can say so like that) because many bloggers have given bad reviews about it. I, for once have not read any review before buying it. In fact, I tried it on the back of my hand in the store, and it survived every hand washing through the day, until I rubbed it off with makeup remove, which blew my brain, so I came back to the store and bought it. This is my new perfect liner for the water line, to give the impression of wider eyes, I really like that it's not white or cream shade but levander, because that makes the trick less obvious! I also like to apply it to the inner corner to illuminate the eyes. Hello everyone! How are you doing today? I'm bringing to you the 8th entry for this challenge and the last for April. That means the last using this three colours! I must admit I'm starting to get a little sick of them! I don't think I will use again these colours in a very, very long time, lol! Hello darlings! Yet another week for this Wonderful challenge! I tell you, I'm having so much fun with it. In fact is very stimulating to have to use the same polishes for four different looks, because you don't want your mani's to look all so similar. Hello my dears, happy Saturday! Where did this week go? It's the weekend again!! Well, not that I'm complaining but just have the impression the time passes too quickly. Hello my dear readers! How are you today? Hello my dears, how are you? How was your weekend? What I have for you today is a simple eye look that could be used everyday! It's a very natural look with some "shimmer" that helps bringing some light to the eyes without being over the top. Hi my lovelies! I hope you all spent a wonderful weekend and have your batteries charged up for starting this week. In case anyone is lacking a little sweetness I'm bringing you some I found on my drafts. I've done this mani long time ago and forgot I had pictures of it. It was so long ago I don't even remember which polishes I used! (seriously, why don't I write that down somewhere?). Well, I hope you don't mind, because this is a simple stamping mani, so any nice stamping colour would do. Hello my dears! I hope you've all spent a great long weekend for Easter and that you're having a fantastic week so far. I'm really exhausted because with my hubby we spent the Easter Monday assembling Ikea furniture. We got a huuuuge wardrobe for the entrance, where to put all our (my) coats, jackets, shoes, bags, etc. I tell you is huge. It's so tall it only leaves 3cm (like 1 inch) to the ceiling. We also got a two door wardrobe for the guests room and another "Alex" (I already have one for office stuff, but this one is for my nail polish!). No-Buy break is finished, now what?